Real estate marketing trends 2018 - free online guide. Technology and marketing in real estate 2018. This article was created to show You most effective and practical ways of promoting real estate internationally. Some of the techniques are not new but thanks to rapid development of mobile and graphics technologies it's really worth to decribe it in this article. You can improve Your marketing skills and acquire new clients in a quick period of time. Enjoy! And inform us also about Your new propositions. Feel free to contact us. Let's start! It beats my imagination when I see many real estate agents still using old marketing techniques in the midst of an ever advancing technological age. All those that are looking to buy a house usually start with a search online. This means that every real estate agent should upgrade his/her tech sense and know the new industry marketing strategies that will offer better results. The first place to begin any marketing campaign is within; you have to get your landing page improved to looking the best so as to attract the users when they come. This page should reflect all about the personality of the business, it should be able to capture the user’s attention for as long as it is required to make them take an action. Another important point to consider while augmenting your website’s landing page is that it should be very easy to use. Be sure to eliminate every error or broken link, resolve and issue that might make your page tedious to use. With an augmented landing page your marketing efforts will produce a better result this year than the previous year. 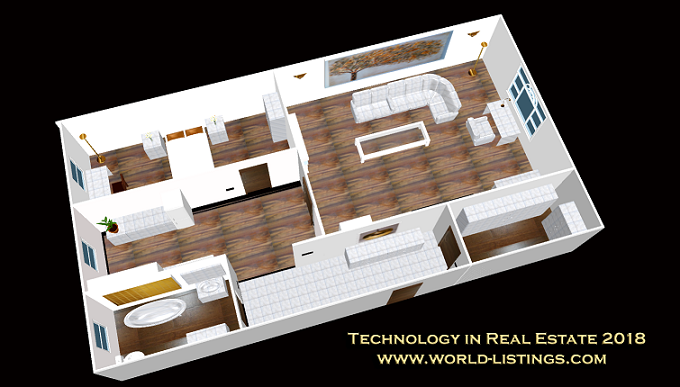 Presentation Videos, 3D videos and 3D models in property promotion. Real estate agents that will make it outstandingly are those that would implement presentation videos as part of their marketing campaign this year. With these video new leads will be generated for better business. Use different types of videos to present your service in various styles to your prospective clients. It is not ideal to use only one format, produce various genres of videos to show off your products in different lights to your upcoming clients. Below are the different types of videos you can create. Listing Videos – these are the types of videos that are usually used by most agents to show all available properties within their collection. With this listing you can produce a unique, impressive presentation, showing off all the amazing features of every property within your coverage. This is the most popular type of video used by all in the real estate industry. However, the trend this year has gone higher than just creating one video for all your campaigns. It has gone farther than being satisfied with just a listing video like every other regular agent. You need to do more! Interview Videos – this type of presentation video is a higher level that most definitely generates more leads. It capitalizes on utilizing the word of mouth from reliable relevant sources to promote your real estate business. To create the interview video, you will need to get your previous clients that purchased properties from you. After contacting them, and introducing the concept of your interview to them. You will need to conduct a videoed interview with them allowing them to talk mostly about how you were able to help them get the home of their choice, and how easy the whole process was. A video like this will help you sell more houses with the testimonies of all your satisfied clients captured in a rich presentation video. Live-Streamed Video – through the use of social media platform you could broadcast live to all your followers or fans to let them know of a special offer or give them some tips to look out for in a house before purchasing. This means is used as a social media promotion strategy to generate new leads and also add to your fan base on social media. Free Offers Videos – you can also create presentation videos that are aimed towards informing prospects on any free offer or promotion that is ongoing. It could be a one-time offer of reduced cost or discounts available within a specified period of time. These promotional videos with special offers and discounts are quick avenues to attract prospective clients to your real estate business. Thanks to Youtube.com You can set up company account and promote company listings by creating presentation movies (Did I mention that is free?). Let's see how it works in practice. Another great way to show interior is to order 3D model that can be created on computer. That kind of visualization is specially helpful in primary market to show how great and luxury interior can be. Sample project can include walls, surface of the wall, additional equipment like furnitures and even small pieces like wall lamps or Livolo touch switches.. You can even import sample image as a texture that's why it's really easy to design and project attractive interior and property layout – houses and luxury apartments. Below the movie that contains best luxury properties form our service. Each of them was previously designed on special dedicated software. Virtual and Augmented Reality has to do with the use of computer simulations to project another environment into reality before the user’s eyes. When the user wears a headset, he/she immediately enters into the simulated environment as though he/she were present. This concept has been fully implemented in with video games, but has just been recently used in the real estate industry. It can be used to help prospect client see the property where ever they are. With the help VR or AR, your clients that are far away and are unable to come and see a property they are interested in can be sent a VR set that will enable them view the home as though they were present. You can also utilize this as a tool to show clients what an uncompleted house will look like when completed. This will be done by simulating the visual design of the completed house to the prospective client. They get to see and interact with the home just as they would have if it was completed. Some agents use this technology to allow users design their home virtually as they would do in real life. This promises a lot of exploration and fun for your prospective clients, giving them the ability to customize their would-be home to their taste, just to see how it would look like before they actually buy it. The chatbot software system in place is there to assist not to become you. Don’t leave the work of communication to your potential leads completely to the chatting system. Allow the Chatbot to interact initially and get necessary contact data from the prospects. After this, the agent will now continue from there to relate with the prospect until the deal is established. This chatting system can communicate with conversational tone, making the client believe that he/she is being attended to by a human. The style of conservation is as perfect as a human. All your clients will always feel you are always available online. You can adequately use this as a support system to guide your leads and ensure all more sales are made on your website. Lead generation software – international real estate listings. Let's be honets- today there is no reason not to adverise real estate company internationally. As a people from real estate industry we know how big commision for good deal can be. Every new clients and his commision is much biger than spending money on common-sens marketing. We are not talking about burnign company budget – we mention about user friendy, high visible in web browser site that promote business listings. Internet allows vast possibilities of advertising company world-wide and acquiring new clients online. Thanks to international real estate listings and marketing You enlarge the chance to meet new clients and possibility of making deal with them. It's also great and relatively cheap way to build company brand. Lead generation software packages that are available on phones make it very easy for you to initiate deals with your prospective customer no matter which part of the world they are living. It gives you the ease and flexibility to view contacts on your phone that are interested to buy a property. You can even go a step further with the help of the software establish a business relationship that is based on trust. This system provides very responsive customer relationship management that provides avenue to seamlessly interact with your client from any location. You able to go through all the requirements of each client, see their preferences and other relevant data in a regularly updated format. Lead generation software that is on your phone can also help you close a deal with your customer, even without getting to meet them personally. You contact, get to know the clients preferences and requirements , send fresh updates of all available property and when the client sees what he/she wants, you can also close the deal on the property. All these are made possible through the use of lead generation software available on phones. Web analytics is nothing new thing but watching and reading it allows You to understand the behaviour and internet traffic in company. This is the key to check which sites are most popular, which genereate contacts and which are not used at all. Thanks to web analytics You can build sales funnels and direct users of company website to dedicated advertisment or accurate listings.It's important to configure the website to be more user friendly and profitable at the same time. Channels Features – with this feature on the web analytical tool, you are able to see the report of traffic influx to your site from all the channels. The channels show you exactly how many visitors that came through the search, direct, social media, referral and email. This feature is very helpful because with it you can easily know which of your real estate marketing works the best. Of course, more effort will be applied to the area producing the best result. User Flow Analysis – this is by far one of the most important features in the Google web analysis software. It presents to you the usage pattern of your visitors. It is very essential to know this because; this will enable you to plan your design better. It will help you to strategically place product important products in the path of user clicks. That way you are such they will get to see and interact with the relevant content provided. You are able to view New and Returning Visitors- the number of returning visitors you have coming back to your website, determines how successful your real estate business is. And the Google web analytical tool can help you to easily see the number of users that return and those that are just visiting for the first time. This is more like a report sheet that lets you see how well you are performing and if not, you will need to sit-up and do more specifically focused marketing on the exact areas that you need the most. You Get a Report of Detailed Interactions of Users on Every Page – this is just awesome. Real Estate Marketing is really made easy with the analytical tool. You are able to know what content captured the attention of your visitors on every page they visited. This will help you know the content to keep and the content to throw off. Just imagine you have a sales video on your landing page, to promote sales of your property. After a month, you can check with your analysis tool to see the performance of page content. If you discover that no visitor clicked on that video and all the while it was lying idle, you can do any of these two things. First, you will have to change the position to a better position for better access, because the content is an important one. Or, you throw it out of the page if it is not so essential. Mentions Feed: with this feature you are able to see in one instance all the places online, on all your social media outlets where your brand has been mentioned in a post, in a comment or where your information has been reposted by users. This will help you to instantly track down and respond to all comments, shares, likes, and enquires. this will enable you know the volume of engagements you are receiving as a real estate business across all online platforms. When you see your volume decrease, it helps you to know that your presence is depreciating and needs more proactive activity to increase user engagement levels and vice versa. You are also able to customize an alert system to provide instant notifications for any changes in user interaction on all online platforms. This article will be developed in time so follow us in social media to get the latest info about new trends in real estate.